Bay area rapper G-Eazy has been killin' it with his music, which he almost always produces himself as well. He has a unique style and flow, which of course helps him generate interest. Yet, almost everything he releases is pure gold. 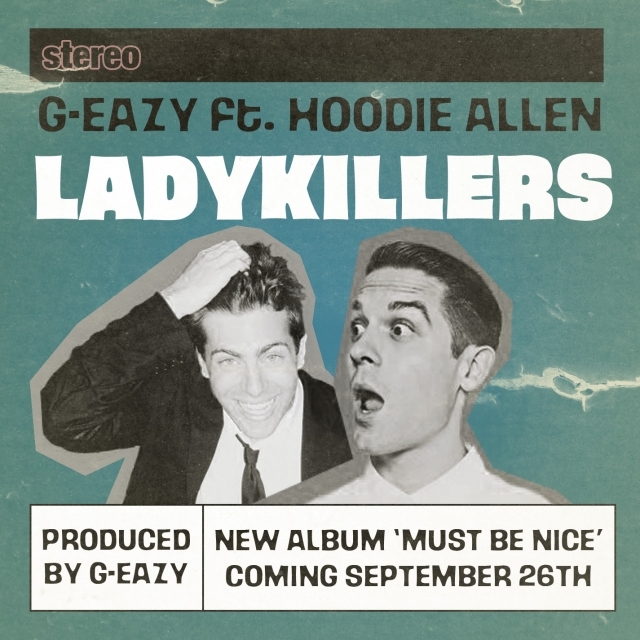 When he new album Must Be Nice is released on September 26th, I think the world will better understand what G-Eazy is all about. Before the album is released, he let out the first single called "Lady Killers" featuring another music phenom, Hoodie Allen. These two were long overdue for a collaboration track and we got it. Listen and download below.